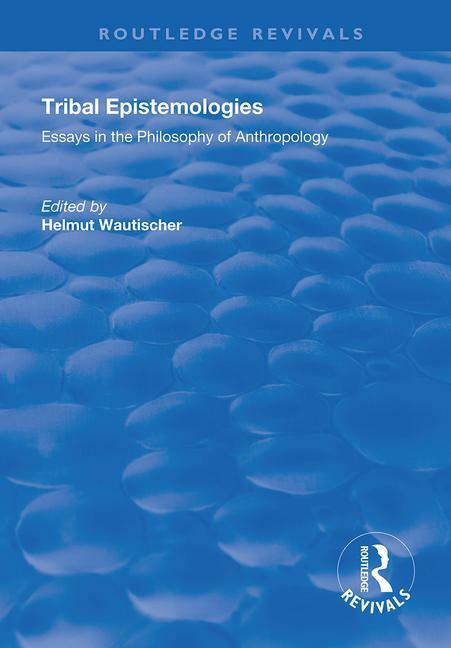 First published in 1998, this collection of ten essays transforms our understanding of both the role of philosophical anthropology in modern world philosophy and the origins of tribal knowledge in their relation to contemporary assessments of cognition and consciousness. Ethnographic data from geographically distant cultures - such as the Maori of New Zealand, the Fore of New Guinea, the Sea Nomads of the Andaman, the Cowlitz of North America, the Maya, Australian Aborigines, Siberian Shamans - are carefully crafted toward an empirical basis for discussing a variety of phenomena traditional labelled in Western thought as transcendent or metaphysical. This anthology is a valuable source of information relevant for any theories of knowledge and a solid challenge for reductionist models of consciousness. The essays enhance our recognition and appreciation of fundamental similarities as well as differences in world views and cultural perspectives related to knowledge claims. This anthology illustrates unplumbed depths of human consciousness, reveals experiential understandings beyond linguistic thought, and stands aside from the view that behaviour and intelligence can be understood by deterministic principles. This volume of essays should be read with stereoscopic vision: one lens focusing on the rich ethnographic material of folk societies, the other focusing on the wider awareness of how we come to know what we know. It features specialists in philosophy, ethnology and comparative sociology, comparative religion, cross-cultural psychology, physical anthropology, environmental and marine scientists, Indian affairs, anthropology, comparative literature, shamanism and theoretical biology. These contributors explore issues including individuality in relational cultures, Maori epistemology, shamanistic knowledge and cosmology and images of conduct, character and personhood in the Native American tradition.